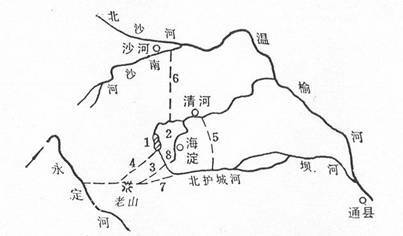 From Easten Han dynasty to Jin dynasty，Kao Liang river was the main waterway in the urban area of ancient Beijing. 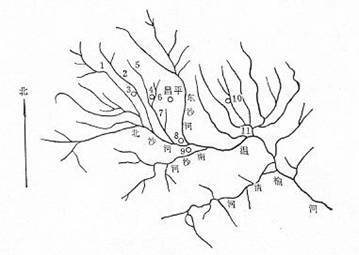 The first recorded irrigation canal，Che Siang Qu which connected this river to the Sang Gan and Lu rivers was constructed by Liu Tsing in 250 A.D. 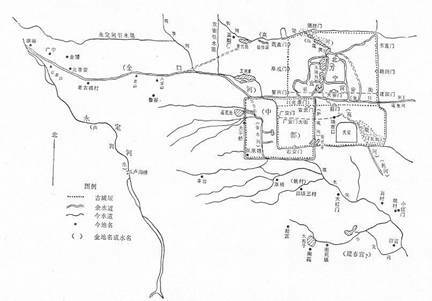 The irrigated area was increased in 565 A.D. and the Kao Liang river was connected to the Yi Jing river which is known as wen Yu river nowadays. 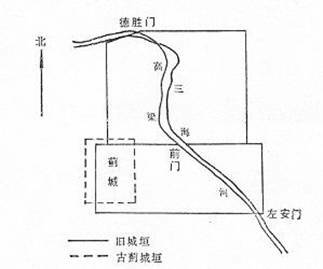 This paper describes Kao Liang river of Jin dynasty and the Northern Palace constructed on it，in details. 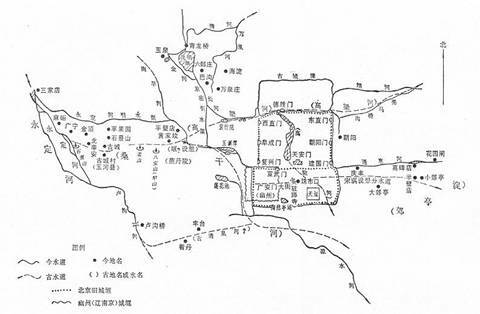 And describes the navigation canals from the capital of Jin dynasty to the town Tong Zhou，with Kao Ling river as water source，though its flow was deficient.